Tournament Director Neil Russel previews below the Scottish Open coming up this weekend. It's a tournament with a tradition stemming back to 2002 and the oldest of the non-Scandinavian tournaments on the tour. The draws are available on the Tournament Homepage. 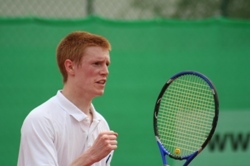 Edinburgh is the venue for the next stop on the 2006 Racketlon World Tour, and we return to the Next Generation Club in the Leith area of the city to play at the venue, which has been rated as one of the best on the Tour. Seventy-three players have signed up to take part in this years event, which will be the fifth Scottish Championship to take place. And an intriguing tournament it promises to be. With the two winners from last year not in the draw this time round (Mats Källberg is unable to play with Sarah McFadyen still out through injury), there is the chance for new champions to emerge. The Men's Open is set up nicely for some country rivals to do battle. 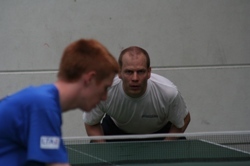 The top four seeds reveal 2 UK players and 2 Austrians in pole position to fight for the title. Home favourite Calum Reid, fresh from his recent victory at the German Open, takes the top seeded spot, but he faces a tough battle from John ODonnell for the UK bragging rights. And ready to challenge the Brits is the Austrian pair of Michi Dickert and current FIR President Marcel Weigl. Expect some tough matches, with the potential for an all British or all Austrian final. Calum Reid. Easy win on home soil? preparing for comeback in Swedish Elite division(!) table tennis. But the top 4 are unlikely to have it all their own way. Fellow Scots Steve Thomson and Chris Caves will be looking to impress, not forgetting the dangerous Henrik Hakkanson. And with the talents of Jon Foulds and Mark Jackson also in the mix, we have the recipe for a closely fought title, with no doubt one or two surprises along the way. Jonathan Foulds. An English challenger. With Sarah out, the spotlight falls on Katy Buchanan to fly the flag for the home nation as top seed. With Katy also on good form following her German Open win, shell be looking to make full use of home advantage to add another title to her name. However, Susanna Lautala-Näykki, the beaten finalist in Germany, will see this as an early chance for revenge  these two players are seeded to meet again in the final. Third seed Natalie Lawrence will also be looking for another strong showing, and keep an eye out for newcomer Jenna Cockburn who is a top level tennis player, and not forgetting Pernille Thomson and Frania Gillen-Buchert who will also be flying the home nation flag. 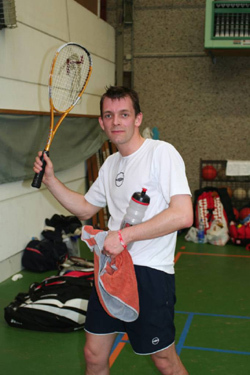 The Veterans category has David Greatorex as top seed, and hell also be hoping to keep up his good form from Germany, and there is a good sprinkling of first-time racketlon players to maybe spring a surprise or two. The Class B draw throws up the potential for another clash between Ray Jordan and Alistair Hogg after their meeting in Germany  Ray will be hoping for a different result this time round! Whilst Alex Klatt will be travelling from Germany looking to challenge for the title in Class C.
Keep an eye on Racketlon Breaking News for results over the weekend, and a full report will follow early next week. And with a traditional Scottish Ceilidh taking place on the Saturday evening, there should also be some interesting photographs to share with the racketlon community! 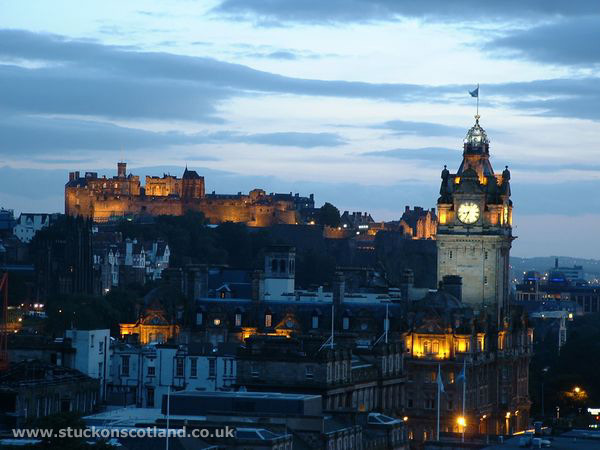 The tournament organisers very much look forward to welcoming all the players to Edinburgh!